When young children grow up in environments where there is violence, neglect, mental illness, or substance abuse, the stress can be toxic to their developing brains. But, we can intervene to prevent this damage. Scientific research demonstrates that we can make difference if we (1) work to connect families to needed community-based services to decrease the stress, and (2) build strong, loving, parent-child relationships that protect and heal the brain from trauma and stress. Our goal is a young brain focused on learning rather than a brain focused on survival. Child First works with parents and young children together in their homes because that provides the best opportunity to strengthen families. Most of the parents in our program carry deep scars from trauma in their own lives and have lacked the support systems necessary to cope with hardship and stress. We give them caring, therapeutic support to begin their healing, so they develop the capacity to nurture and create a better life for themselves and their children. Child First connects families with the services they need to reduce stress in their lives and move forward in the face of adversity. We can help a parent find a job or a safe, stable place to live. We can connect a child with a speech therapist, medical services, or good preschools. We can connect an older sibling with afterschool sports or mental health counseling. What makes Child First different is that we focus on the most vulnerable families and get to the root of their problems. We help parents understand their children’s feelings and actions. We focus on the meaning underlying the behavior. In this way, parents develop the capacity to address not only challenges today, but those that arise as their children grow and develop. 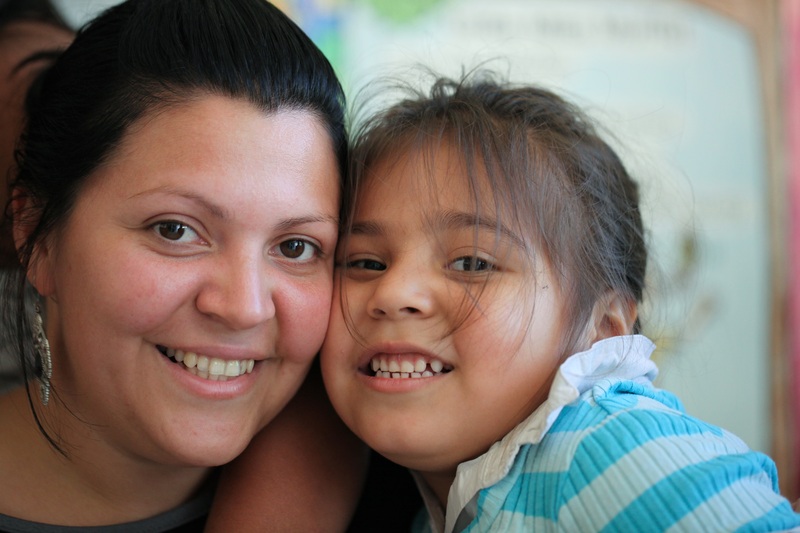 Child First empowers parents to create a stable and nurturing home. Research shows that Child First families become stronger and healthier. As children and their parents develop strong, loving relationships, their lives change. Children feel safe and secure, which enables them to play and learn. Parents feel more able to manage and support their families. Overall, abuse and neglect dramatically decrease, breaking the cycle of trauma in even the most at-risk homes. While we cannot fix all of the problems that families face, we can help parents overcome challenges and form strong, loving relationships with their children so those children become healthy and productive adults. What makes Child First different is that we target the most vulnerable families and get to the root of their problems. We focus on the meaning underlying the behavior. Parents develop the capacity to address not only challenges today, but those that arise as their children grow and develop. Child First works with a community’s most vulnerable young children (prenatal to age six years) and their families.The goal is to identify children in high stress environments or with signs of distress at the earliest possible time and intervene to decrease emotional and behavioral problems, developmental and learning problems, and abuse and neglect. Any child who is under six years of age may be referred to Child First. This includes referrals for a woman during the prenatal period. Children are eligible if they have emotional or behavioral problems, developmental or learning problems, or come from environments in which there is considerable risk to their health and development. Formal screening is not needed. Collaboration with community service providers who work with young children and families is essential to our model. Community providers identify and refer the children with greatest challenges to Child First. Child First teams connect all family members to comprehensive and coordinated services. This promotes strong, healthy children and families. All Child First affiliate agencies participate in extensive training of staff using the Learning Collaborative methodology, developed by the Institute for Healthcare Improvement. The full training includes a combination of face-to-face Learning Sessions; web-based, interactive, Learning Modules; and reflective, clinical consultation at each affiliate site. We constantly strive to maintain fidelity to the Child First model and to improve our services. This is accomplished through monthly analysis of implementation data and quarterly analysis of assessment outcomes, ongoing reflective clinical consultation and supervision, and yearly Child First Accreditation of affiliate programs.